Product prices and availability are accurate as of 2019-04-17 02:34:21 UTC and are subject to change. Any price and availability information displayed on http://www.amazon.com/ at the time of purchase will apply to the purchase of this product. Set of 2 Search and Rescue SAR Hook and Loop Patches. Hook and Loop Material Makes It Easy to Change. 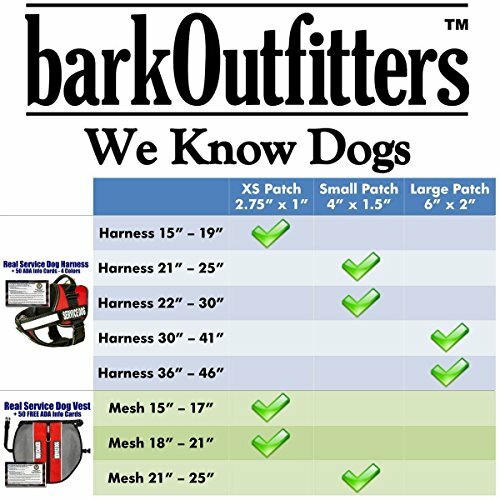 For DogStylze And Dean & Tyler Vests or any Vests With Hook and Loop Material. These Patches Have Hook and Loop Material On The Back. Reflective Material Helps Keep You And Your Dog Safe at Night. Unlike Embroidered Patches There are no Threads to Snag and Break. Printed Lettering is Easy To Clean. Comes in 2 Sizes - Small and Large. Small size is 1.5" inches high x 4" inches wide, Large size is 2" inches wide x 6" inches wide.